How Does an Athlete Acquire a New Skill? The skill is done much faster, but there are still some errors. Old habits still return occasionally. Repetitions at this stage 500 to 1000. The skill is much more automated. Speed of execution is much faster with minimal errors. Repetitions at this stage 500 to 1000. This is when high-speed movements are created, based upon the cumulative movement pattern library the athlete has acquired, making spectators and other athletes ask the question “how did he/she do that”. There are some skills that are what we call “One-offs”. The athlete, more than likely, will not be able to be reproduce these movements during training, due to the situational nature of the skill. Can you Accelerate Skill Acquisition? Yes, providing that certain criteria are met w.r.t. the paradigm being used. The athlete must not just be conditioned (i.e. physiological training), but must be coached (i.e. guided in all aspects of the training process….diet, lifestyle, regeneration….Self Awareness). 1) Give only the information that they can assimilate based upon the state you find them in i.e. do not get the “War & Peace Novel” lecture, especially when the athlete is in a fatigued state. 3) Give one skill at a time, until that skill has reached at least the 3rd Stage of Automation (See Above). 4) Use key words that the athlete can identify with. 5) Do not distort the 3-dimensional neutrality of all organs, bones, spinal cord, and brain. 6) Become more efficient at the movement (i.e. require much less energy to complete). 8) The movement skill must be easily duplicable. 9) The movement skill must be all encompassing i.e. from the one movement skill, several other movements can be developed from the original movement. 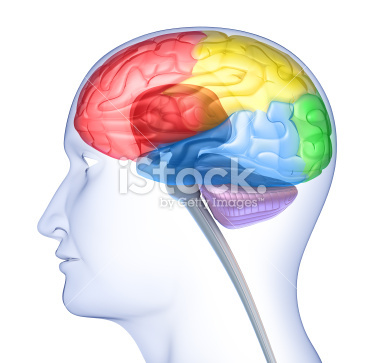 10) The movement skill must be able to integrate both Left & Right hemispheres of the brain. The Question, w.r.t. Athletics, Is Speed is a Skill? 2) Altered biomechanics & a loss in the elastic potential of “all” the muscles in the body. 3) A reoccurrence of old improper movement patterns, due driving an automated movement back up to the higher brain centres (i.e. making the movement more fore-brained vs. a reflexive loop). Please visit www.eliteathleticperfomance.com for more informative articles. Don’t forget to register for our upcoming seminar! I have done consulting work with Yusuf and have referred him to various consulting contracts in the field of exercise planning for competition in sports… In addition Yusuf has occasionally assisted me in the instruction of my class in the Theory and Methodology of Training at York University. Yusuf has excellent strength and conditioning specialists. Dr. Dave Chambers. Ph.D. – Professor at York University specializing in Elite Coaching Methodology. Professor at York University specializing in Elite Coaching Methodology. As the head coach for Etobicoke Energy, I was introduced to Yusuf Omar through a parent or one of our players during a time when we are looking to add a specialized conditioning element to our existing girls soccer program. His academic credentials and hands on experience in high level can performance conditioning are impressive. Over several years of receiving therapy from many different physio and massage therapists, Yusuf has been the only one able to give me lasting results. Yusuf has been able to address the root cause of my recurring sport injuries in order to allow me to train better and more effectively. My name is Troy Dos Santos and I’m a former professional track and field athlete at the National and International level. I have been working with The System for about 10 months to improve my condition (I was diagnosed with Concussion Syndrome) and eliminate my injuries with hopes of competing again at a high level.